If you want to receive optimal results of your carpet cleaning, you should use the services of a reliable and proven company. We offer excellent cleaning of carpets, made of different materials, which is long-lasting and qualitative. Our team of cleaning technicians apply some of the most effective and saving the carpet fibers procedures for disinfection. 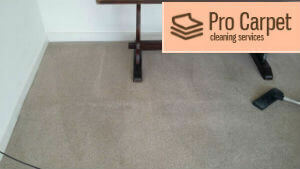 They check every carpet carefully to choose the cleaning method and equipment which will be most appropriate to be used. Our carpet cleaning services are available in W10 North Kensington at reasonable rates. Don’t worry, you can afford us! Contact our representatives to learn about the range of our services and their prices. They’ll help you choose the cleaning plan suitable for your wallet. ﻿Our technicians carefully inspect every carpet to choose the most suitable cleaning procedures for it. 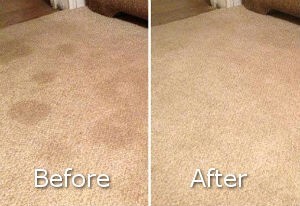 They pre-treat the dirtier areas, spills and blemishes on the carpet to remove them easier. Then, our staff vacuum clean the carpet and apply steam or dry cleaning on it. We use non-toxic cleaning solutions which together with the hot water dissolve the dirt, bacteria, allergens and grime. Our methods are provenly effective with every known carpet fiber on the market. We promise you that our techniques won’t threaten the texture in any way but only achieve impeccable results. Using powerful steam cleaning machines, our staff will extract the cleaning solution and dirt from the carpet without leaving any residues. Some carpets will be sprinkled with powder or foam and vacuum cleaned. Our carpet cleaning services are available in North Kensington seven days in the week. We operate also in Notting Hill, Shepherds Bush and West Ealing. Carpets should be maintained clean, otherwise they start to look darker, get filled with dust, dirt and bacteria and worsen the quality of the indoor air. This poses great risks for the health of you and your family. Dirty as well as badly sanitized carpets have the potential to cause you respiratory and skin conditions. Small children and pets are generally at greater risk. To avoid the hazards of a badly maintained carpet, make a request for the services of a professional cleaning provider at least once a year. Trust us, our cleaning methods are very efficient and ensure the long usage of the carpets. All of our cleaning technicians are background checked, professionally-trained and experienced in the field. They will restore the attractive condition of your old, worn-out and shabby carpets. Furthermore, they will make sure your carpet stays in the family for long years ahead. 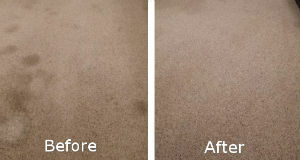 After we sanitize your carpet, we will spray it with Safeguard carpet protector. It will keep dry soil, stains and germs at bay and thus extend the life span of your decoration piece. Get in touch with us at any time to order the cleaning services which we provide in W10 North Kensington and the surrounding areas.